This is one of our favorite trends this year. It allows you to create a room that you can quickly and easily restyle – should you happen to get bored with the current colour scheme. 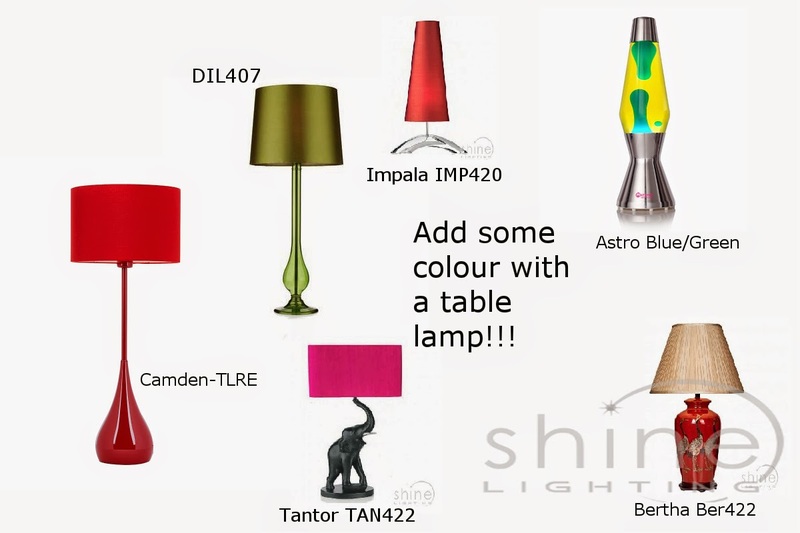 With a new table lamp, a new rug or non electric shade, you can quickly and easily change the colour of your room! If you love to keep up to date in the latest styles and fashions, this is definitely the way to go. We've put together a few ideas of putting a room design together. This can be used for bedrooms, living rooms or dining rooms. If you are redecorating a bathroom or wet room then you will need to pick fitting with an IP rating of at least IP44. Use a neutral coloured paint. Using a white/ cream or grey coloured paint will give you a really good background for hanging prints onto. If you have a small room, it will also make the space feel bigger. Neutral coloured sofas and carpet. The shade of this is very dependent on whether you have kids or pets – and personal preference! Semi flush or flush Ceiling lights and wall lights are likely to be a permanent fixture in your space. So look for something timeless if you don’t plan on changing these regularly. 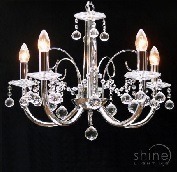 Ceiling Light: 1636 Chrome 5L Chandelier by Fantastic Lighting - Contemporary chrome and crystal. If you also want a ceiling light that you can also easily change, have a look at non-electric pendant shades. This is your chance to decide on the colour scheme for your space. These pendants also now come in a huge range of different styles, which is really exciting. It also means you can easily change the light without the need of an electrician. Option 1: Bianca BIA65 by Dar Lighting - Modern Multi coloured crystal non-electric pendant. Option 2: Emily 8312RE by Firstlight - Red pleated material Shade non electric pendant. Option 3: NE-AUDLEY-BLU by Endon Lighting - This Mosaic blue non electric glass shade is really eye-catching whether or not the light is turned on. 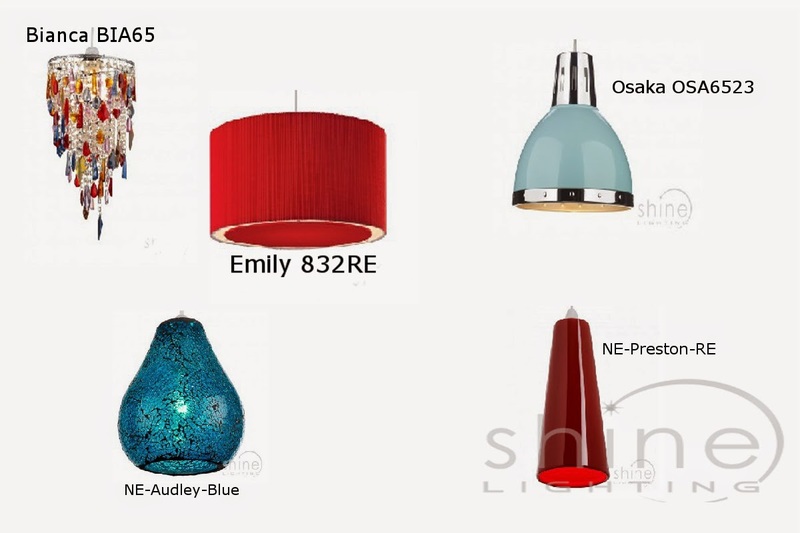 Option 4: NE-Preston-RE by Endon Lighting - Ceramic red non-electric pendant shade is a really easy way of adding a bright colour to your space. Option 5: Osaka OSA6523 by Dar Lighting -modern blue and chrome non electric pendant. Table lights are the ultimate way of quickly adding a pop of colour to your space. The new ranges available this year really range through all designs, tastes and price points. They can be a really affordable option for redesigning your room. If you want to turn off the ceiling light to watch a film, table lamps are a great way of adding a low level light to your space. We always recommend when designing your room to think about levels of light. This allows you to ensure your space will always suit your mood and requirements. Option 1: Impala IMP4208 by David Hunt Lighting - Made in Britain.This shade with Crystal base is a beautiful addition to your space. Lamp is also available with black and neutral coloured shades. Option 2: Tantor TAN4222 by David Hunt Lighting - Made in Britain. We love the base of the Table lamp (Also available in white). It is a real feature piece. The silk shades are sold separately. There are a few variations of colour shades on the internet, but David Hunt do a wide range of coloured shades to fit this lamp. If you need a specific colour call the shop directly. It also means you can keep this amazing lamp base and update by changing the shade! Option 3: Bertha BER4225 by Dar Lighting - This large based traditional Table lamp is an amazing way of adding colour to your space. The decoration is beautiful. Option 4: Astro Blue/Green - If you fancy something a bit more retro how about a Mathmos Lava Lamp? These are the original manufactures of lava lamps and come in an amazing range of colours. Option 5: Camden-TLRE by Endon Lighting - Really bright and eye-catching red table lamp. Also has matching floor lamp that looks equally spectacular! Option 6: Dillon DIL4074 - There are some beautiful glass table lamps around. They usually come with a colour matched shade. It's a great way to add a pop of colour without going over the top. Now you have selected your colour scheme, it’s time to pick out your soft furnishings. Most good fabric shops will give you fabric samples to take. This will allow you to colour match curtains, cushions and throws. If you need some further colour inspiration for soft furnishings our friends at Gilroy Curtains and Blinds will be more than happy to help. Did you find this article helpful? Share on Facebook and Twitter! Tweet us @shinelighting with the hastag #letusshine or call us on 01202 601846 and we will be more than happy to help.